Welcome to www.odishabamboo.org the official website of Odisha Bamoo Development Agency. 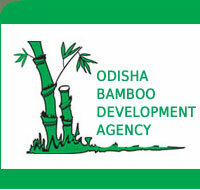 Odisha Bamboo Development Agency is an initiative aimed at integrated development of Bamboo sector in Odisha. The focus is on bamboo resource regeneration by commercial cultivation of bamboo and building highly competitive clusters producing commercially accepted bamboo products through value addition as well as setting up bamboo based industries with recent advances in technology. The mission has special focus on adequate returns to farmers as well as promoting sustainable livelihood for tribal and rural poor engaged in bamboo sector with emphasis on women empowerment.
" There is growing interest in bamboo - the material and its usage. The Mission is developing a bank of visuals on the many aspects of bamboo, from species to cultivation to processing and product. " Bamboos has versatile uses as building material, paper pulp resource, scaffolding, food, agriculture implements.